The Green Girl is throwing an event for the first time in her green life. I'm hosting the first ever Long Beach California Dreamin' SparkRally to help celebrate SparkPeople's Show Your Spark Weekend which goes from Friday, June 26 to Sunday, June 28. SparkPeople is a free website that offers nutrition, health, and fitness tools, support, and resources. I think of it as a healthy social networking site. I believe strongly in Spreading The Spark because of the positive impact this site has had on my life. I learned so much about nutrition simply by using the nutrition tracker. I feel more confident knowing I am able to make more informed food decisions. SparkPeople uses this four-stage approach which they call the SparkDiet. It's actually a a misnomer because it's not just a diet - it's a holistic approach to moving towards a healthier lifestyle. It took me a little over 1.5 years to go from Stage 1 to Stage 4. I am trying to Help to 'spark' others toward their own goals by hosting this SparkRally. I mapped out the route for the 1/3rd Mile/5k Fun Run/Walk. We're offering participants the option to do a 1/3rd mile around the duck pond or a full 5k loop. After the optional Fun Run/Walk, we'll munch on healthy snacks and just have some fun. This morning, the Green Girl met up with her running group, the Sole Runners, at Marina Vista Park. In addition to my new orthotics, I also taped up my arch as a reinforcement. I tried to stretch my calves as much as possible because the podiatrist had noticed my insanely tight calves and mentioned I need to stretch them more. I also purchased The Stick a few weeks ago and I've been using it on my calves a lot. I started out slow. I wanted to see how my foot felt. I had gotten so accustomed to having that arch pad supporting my foot that I feel insecure without it now. Amazingly enough, my foot felt good. I felt like the orthotic was really supporting my arch. I ended up running all the way to the Belmont Pool and back without stopping. I couldn't believe it. On my way back, I saw Coach Steve and he asked me how my foot was and I told him I was feeling good. Yes, my friends, the Green Girl managed to run 6.9 miles today. I would have tried for an even 7 but I was really really tired. 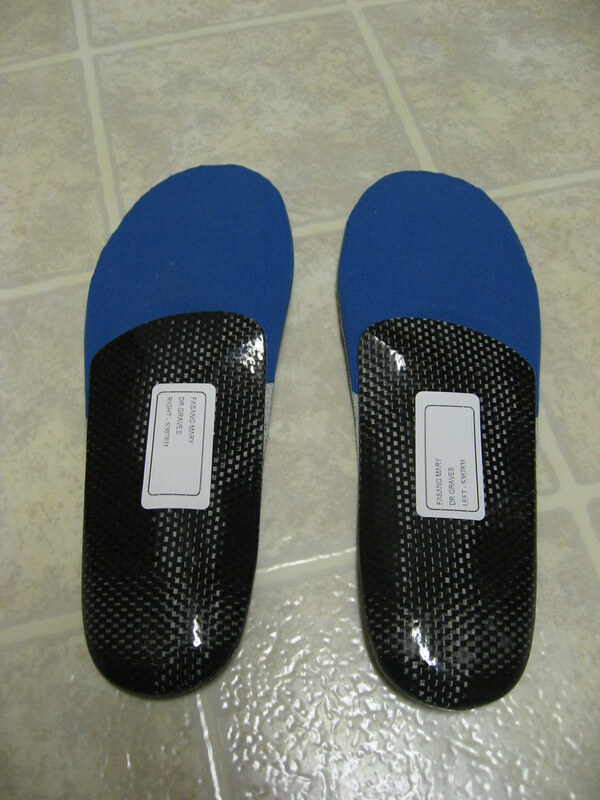 The Green Girl got her spiffy new orthotics yesterday. The podiatrist said it will take 2-4 weeks for me to break them in. The Green Girl doesn't have that kind of time so to help speed things up, she is wearing them in her running shoes with her work clothes today. The funny thing is that the left orthotic is squeaking really loudly. I think it's really obvious when I'm walking around the office but we all know a squeaky shoe is a small price to pay when we have more important things we need to be focusing on! The podiatrist had specifically ordered full length orthotics because I had mentioned how I had gotten a pair years ago for plantar fasciitis that only extended from the heel to the ball of my foot and I could feel the edge of the orthotic under my foot and it drive me crazy. Those orthotics ended up in the trash in no time. 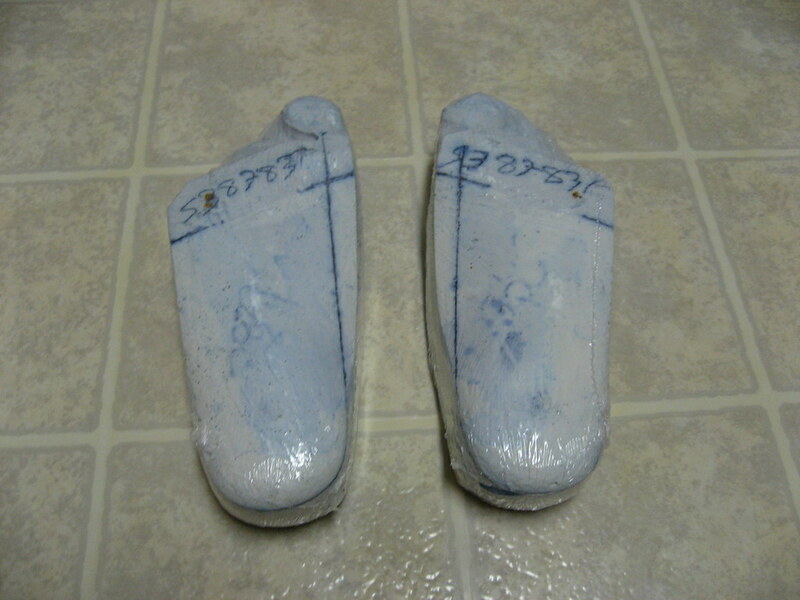 I even got to keep the plaster of paris molds of my faithful short, wide feet which can be re-used for future orthotics. 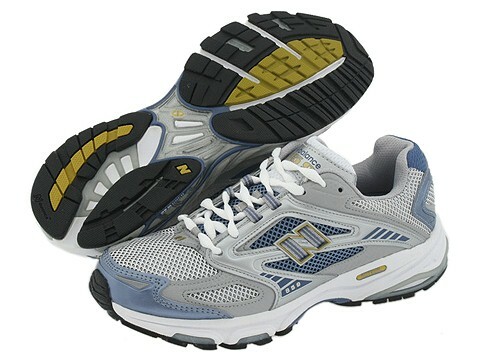 Hopefully, if I walk around in them today and tomorrow, I'll be able to get a good run in them on Saturday. The Green Girl needs some running advice. I have seven weeks until the San Francisco Half Marathon. I haven't run in months. I somehow managed to do the Wrigley River Run 5k yesterday in 00:37:59 but when I woke up this morning, my legs felt like I had done a 15 miler. My foot is feeling a lot better but it's not 100%. I have the follow-up visit with the podiatrist tomorrow to discuss orthotics. What do you guys think I should focus on in these seven weeks? My only goal for San Francisco is to cross the finish line in one piece. I am not trying to PR and I don't care if I walk more than I run - I just want to finish. I'm terrified to push my foot too much so I don't want to do too much running but I'm also concerned I'm going to have a rough time with the hills in San Francisco. I was pretty tired yesterday at mile 1.3 and after that, I walked quite a bit. To try and heal my foot, I hardly worked out at all the past two weeks. I did some crunches and push-ups but I lost motivation and slacked big-time. When I kickboxed today, I realized how much fitness I lost in just two weeks. I was thinking if the orthotics give my foot enough support, perhaps I could start training on the elliptical again and essentially do the bulk on my training on the elliptical. What do you guys think? That way I could regain my cardiovascular fitness but - assuming my foot isn't bothered by the elliptical with the orthotics like it is right now - not put too much strain on my foot. The Green Girl did the Wrigley River Run 5k today. This was a last minute decision after a little nudging from her good running friend, Rad Runner Girl. When we got there, I was so excited to see Penny had parked right next to us. I had been hoping to run into her for awhile now and it was so good to finally meet her. She also introduced Rad Runner Girl and me to The Running Fat Guy. I also saw a whole bunch of fellow Sole Runners. My right foot was feeling pretty good after being all taped up with arch support for almost a week, so instead of walking the entire thing, I decided to see if I could jog some of it. 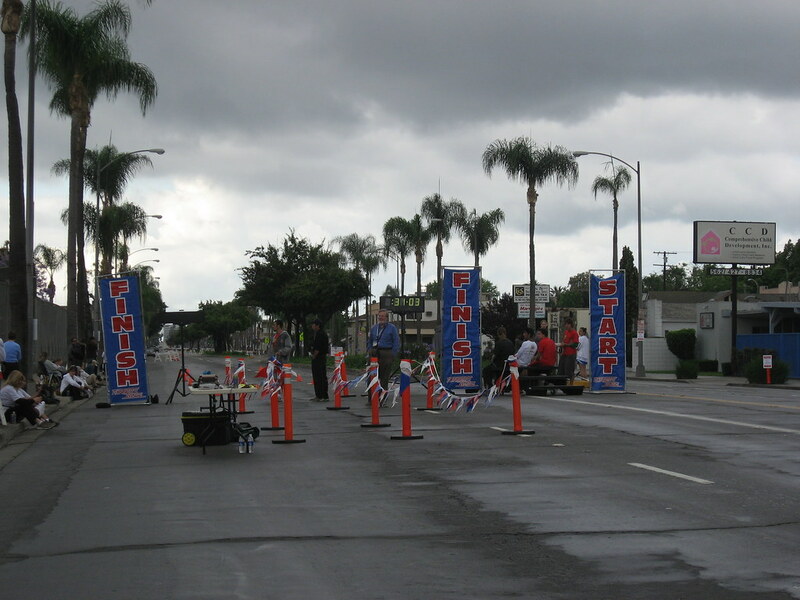 I walked up to the Starting Line and then I started carefully jogging. When I didn't feel any pain, I relaxed and started running. I guess my body was so excited to run again that it forgot that I'm the Slow Running Green Girl and when I looked at Mr. Green Garmin, I discovered I was doing a 10.5 minute mile! I slowed down immediately because I didn't want to push my foot too much. I walked quite a bit of the race because my calves were screaming at me. I struggle with tight calves and I haven't been running so this didn't surprise me. I did find comfort in an old 'friend' nagging me instead of my arch. After I crossed the Finish Line, I was so excited to see Rad Runner GirlI thought the 10k would have already started. I was so excited that I got to watch her cross the Starting Line. It was really good to talk to Penny because she had experienced similar problems with her foot and she said the custom orthotics really helped her. Talking to people who have had the same issues with their foot makes me feel a lot better - especially when they are still able to run. 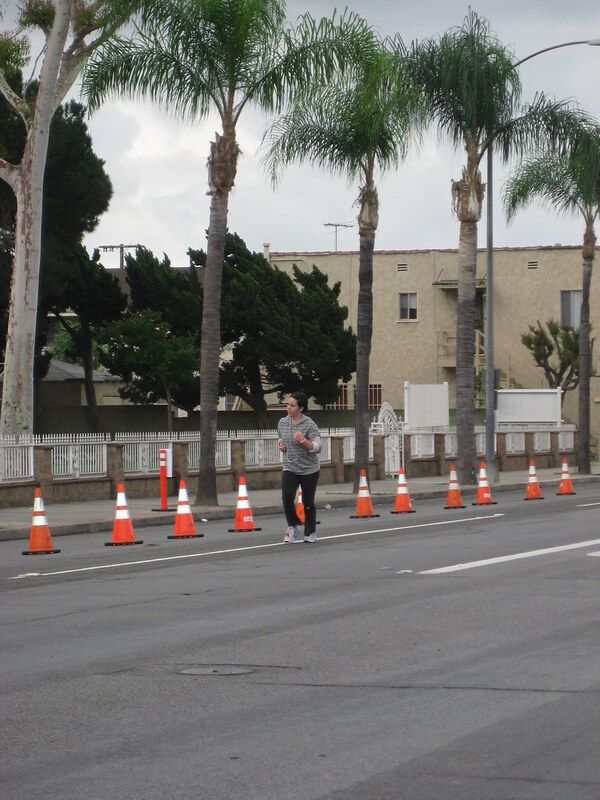 I waited for Rad Runner Girl near the finish. I was bummed, though, because someone got in the way of my shot of her crossing the Finish Line. It was a really good day. I'm so glad Rad Runner Girl talked me into doing the 5k because it really helped raise my running self-confidence.